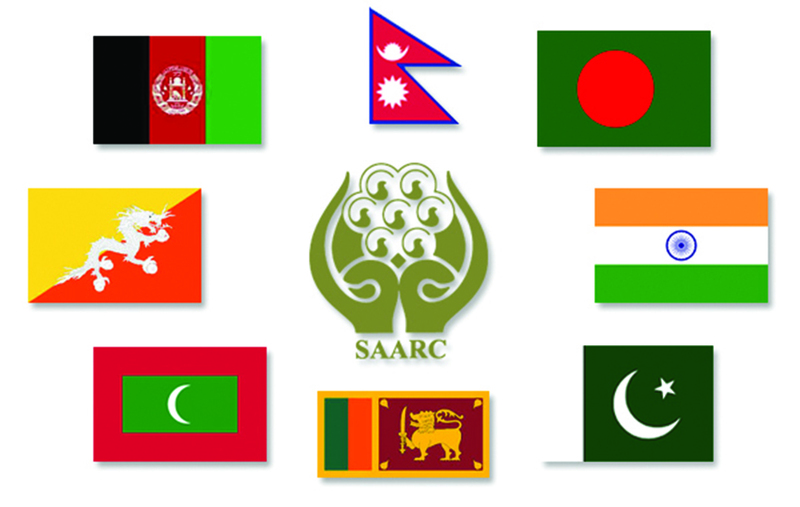 The informal meeting of SAARC Council of Ministers held on September 28 on the sidelines of 73rd UN General Assembly once again brought to the fore the perennial tension between India and Pakistan. 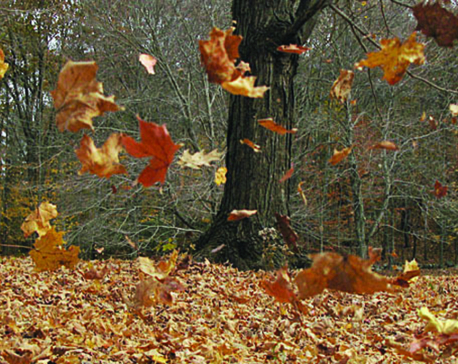 It has also exposed organizational fragility of the regional body. The meeting chaired by Foreign Minister of Nepal Pradeep Kumar Gyawali could not yield any result as Indian External Affairs Minister Sushma Swaraj left the meeting early after making her statement and didn’t engage in any dialogue with her Pakistani counterpart Shah Mehmood Qureshi. This event has shattered hope of revving up SAARC through 19th Summit which has been indefinitely postponed after the cancellation of scheduled summit in 2016 in aftermath of Uri attack. With India citing cross-border terrorism for not proceeding with SAARC and defying any probability of a dialogue with Pakistan, the idea of actualizing regional integration via SAARC has started to seem implausible. Conflict between India and Pakistan has taken the centre stage in SAARC discourse and its failure to deliver on objective of regional connectivity, cooperation and mutual assistance. 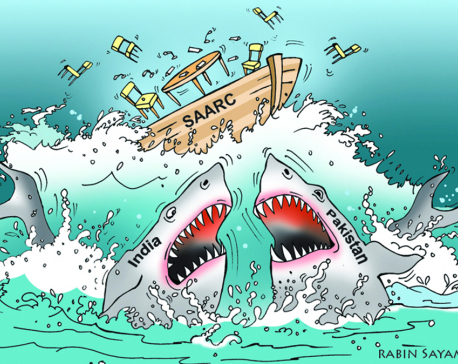 The domestic political agendas of India have continuously overshadowed SAARC. With Narendra Modi’s government employing the bilateral tussle with Pakistan as a political asset for electoral gains, there is a high chance that SAARC will continue to remain defunct. The newly elected government of Pakistan under Imran Khan had sought to redefine its relationship with India through mutual exchange of dialogue, but the Indian government rebuffed any such possibility and decided to stick to the stance of hostility rather than reconciliation citing concern of cross-border terrorism. Additionally, how India is failing on its foreign policy with the immediate neighbors also helps us understand current state of affairs in SAARC. India’s failure on ‘neighborhood first’ policy, or its poor implementation, has alienated its neighbors. This has impelled them to align with other predominant power in the region. For example, apart from India and Bhutan, every member of SAARC has joined Belt and Road Initiatives (BRI), a grand development strategy undertaken by China to focus on infrastructural investment and connectivity. In this context, India is struggling to match its chords with its neighbors who are no longer under the monopoly of India’s influence. Thus, India is actively distancing itself from SAARC thinking that it is no longer an effective body to maintain influence in the neighborhood. But this policy will backfire. This will prevent Indian from taking control of regional governance and fulfilling its economic aspirations. India has pushed Bay of Bengal Initiative for Multisectoral Technical and Economic Cooperation (BIMSTEC) as an alternative of SAARC. 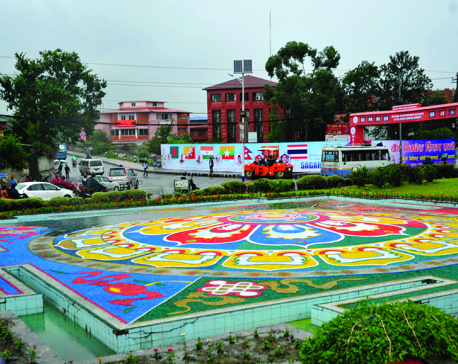 Benefiting from the absence of its archrival, Pakistan, India is looking forward to projecting its economic influence and political aspiration through BIMSTEC. Though the objective is that of regional integration, real Indian intention was exposed when Narendra Modi called for the collective military drill to be held in India right after the conclusion of BIMSTEC Summit in Kathmandu in August. Nepal Army withdrew from military exercise following the heated debate in the domestic political sphere, but India’s goal was political and strategic. Even though India seems to have given up on SAARC, Nepali leadership has made it clear that it wants to revive SAARC and wants to pursue the regional cooperation through the South Asian platform. Other members such as Pakistan, Sri Lanka and the Maldives also wish to reap benefits from the regional connectivity established via SAARC. Thus India needs to provide space for reemergence of SAARC instead of inflicting it with Indo-Pak bilateral tension that will further impinge the deepening fragmentation in the region. That India is particularly reluctant to revive SAARC became clear after the participation of India and Pakistan on the anti-terror drill of Shanghai Cooperation Organization (SCO) in Russia last August. The drill was aimed at expanding cooperation between member countries to deal with terrorism. When India and Pakistan can hold joint military exercise under SCO, cancelling SAARC summit citing ‘lack of conducive environment’ makes no sense. It only exposes Indian hypocrisy. India, as an aspiring regional power, has failed to realize its regional position. For long, India has been seeking international recognition to become a global player. If it cannot take its neighbors into confidence, it won’t be easy for India to secure coveted seat in UN Security Council. India’s claim of being the regional power is being contested within its own region. The turbulent relation with Pakistan, rising Chinese influence in Bangladesh, Maldives, Nepal and Sri Lanka, and dysfunctional SAARC has made India seem like an inept regional player. In this situation, how will India be assertive on global front? India needs to emerge as a nation to look up to in South Asia first. SAARC will be an appropriate forum for that.